On April 26th a joint workshop dedicated to the domestic senior care was held in Berlin. It was co-hosted by VHBP, German ogranization for service providers in the home care sector and the LMI. Live-in care sevices, provided mostly by Polish companies, became an indispensable element of the institutional senior care in Germany. 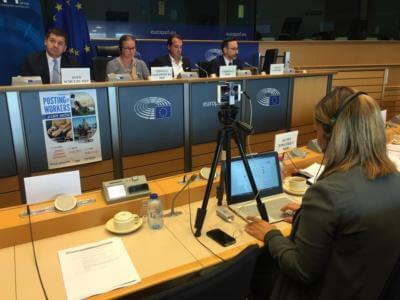 Aim of the workshop was to find efficient way of regulating the domestic care – in particular the one provided by the companies from Poland – and integrating it with the German system of institutional care. This leads us to the main topic of the first part of the workshop. Complementarity of the in-home care and institutional care. Participants have discussed the perspectives of the outpatient care and whether it is able to become the quality guarantee for the live-in care as well as what are the expectations of the institutional care towards the domestic care providers. Second panel had a more practical dimension. The topic was conditions of cooperation between the in-home care providers and the outpatient care. Prof. Arne Petermann presented an overview of certification programs for the domestic care providers. Tomasz Piłat from Akademia Opiekunów (Akademie für Betreuung) described methods of developing skills and qualifications of the live-in carers. Third part of the panel was also dedicated to the carers and how to improve their language skills with the use of mobile apps. Legal framework of the domestic care provision was the focus of the last panel. Legal expert, Tobias Liebau has described the forms of employment of senior live-in carers in Germany. 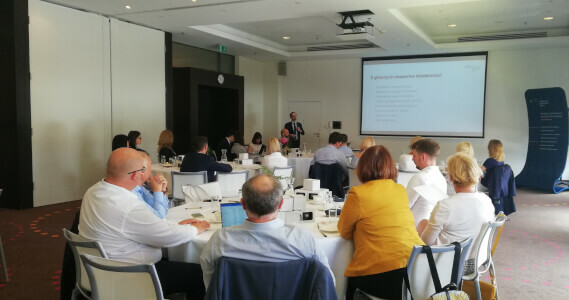 Dr. Marek Benio (LMIA) discussed the presentation about the Polish forms of employment of the posted workers in relation to German legal requirements, which was also summarizing the joint Legal Posting Lab, held by LMI & VHBP in October 2017 in Kraków. 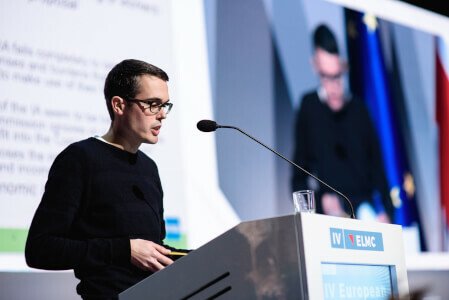 Stefan Schwarz, President of the LMIA has explained the provisions of the new Directive on the posting of workers and what will be its impact on the posting companies and what it means for the home care sector. Frederic Seebohm from VHBP gave a closing speech about the Austrian home care act what can Germany draw from it. It was an opportunity to get to know about the latest legal and practical issues in the home care sector. Moreover, to meet Polish and German lawyers, experts and service providers from the sector. The series of joint workshops co-organized by VHBP & LMIA will be continued. See the workshop in pictures! Verband für häusliche Betreuung und Pflege e.V. (VHBP) is the first independent organization, representing interests of the service providers from the home care sector in Germany. VHBP Association acts in favour of lawful and professional care and nursing in the domestic environment. 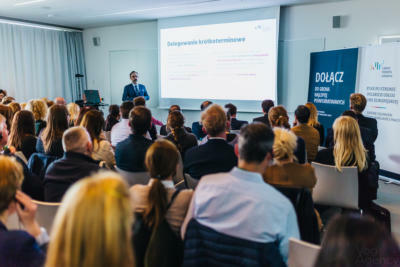 Inicjatywa Mobilności Pracy (Labour Mobility Initiative) brings together employers, researchers, lawyers and public administration representatives and creates the only Polish and the biggest European forum of experts in the field of the posting of workers. LMI Association is organizer of the annual European Labour Mobility Congress and a series of workshops named Legal Posting Lab.